Make exhibiting easy for your exhibitors by offering affordable exhibition booth packages that meet their needs. Recognising a desperate need for innovation, Events 720 has designed a bespoke exhibition shell system completely unique to the local market. As forward thinking event suppliers, Events 720 saw the need to offer an alternative to the boring aluminium and white wall stands currently offered by many other event suppliers. We have since adapted this system to become a booth style as well the stand style. Our designer plywood system has all the cost benefits and efficiencies of a standard aluminium system, with the aesthetic appeal of a complete custom build & theme. When combined into a package these stands become an affordable option for your exhibitor while looking so much more expensive. 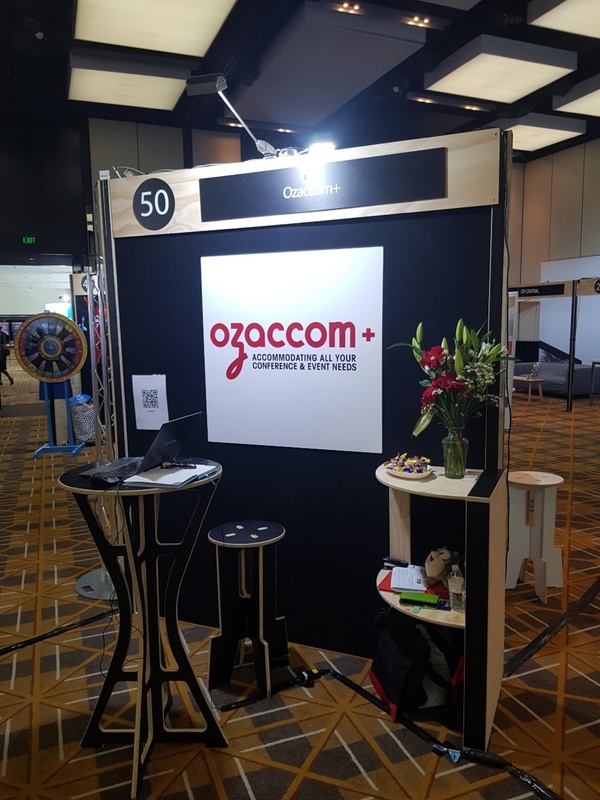 With our exhibition booth system your exhibitors can have customised graphics that can fit the entire booth wall, or only part of the booth wall as pictured here. Offering booth style stands allows your exhibitors to network with visitors easily and gives them more flexibility about how they set up their space, even though it is less space than a traditional shell-scheme stand. How do you set your exhibition apart from the competition? You offer something they don't. You offer a great looking exhibition booth that doesn't break the bank. We also offer registration counters for event organisers that have plenty of space, this allows for easy registration processes for the duration of your event. There are various stand accessories, furniture packages and AV equipment available for exhibitors to hire to improve their exhibiting. 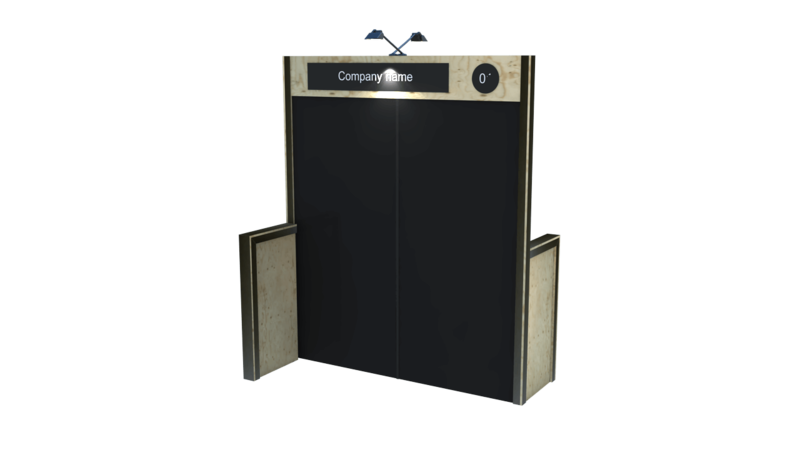 Our exhibition booths are available in different configurations, either 2 meter or 3 meter lengths, and double sided or single sided. This allows some flexibility depending on the location of your event and how many exhibitors you have. The price of our exhibition booths work on a scale depending on the volume of exhibitors. Contact us for an accurate quote to use our booths at your event.